Buy Ecover floor cleaner in bulk and benefit from a great saving, from cleaner floors even in the rainy season, and from the knowledge that you are making an environmental difference. This product contains linseed oil and can only be used on untreated natural floors such as marble, concrete and linoleum. Please note that it is not suitable for polished, varnished, sealed, waxed or laminate flooring. The Ecover Floor Cleaner - 5 litre product ethics are indicated below. To learn more about these product ethics and to see related products, follow the links below. Cleans the bathroom floor like a dream. Good size cuts down plastic use. Love this - use it on our linoleum tiles to clean and protect. Wonderful. 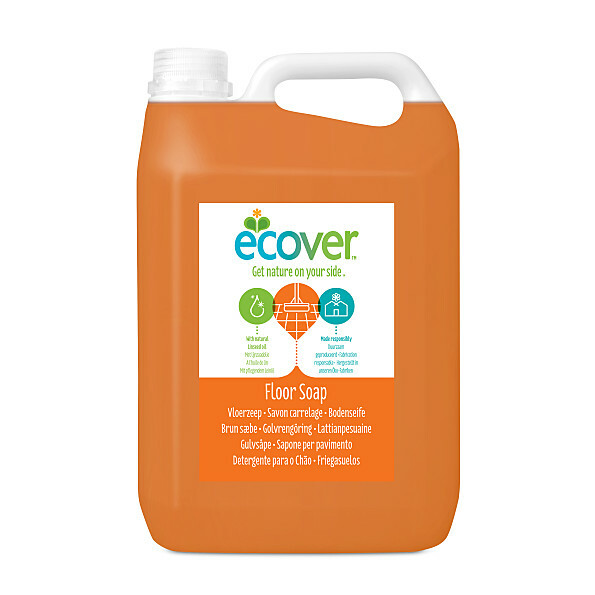 There are currently no questions to display about Ecover Floor Cleaner - 5 litre.